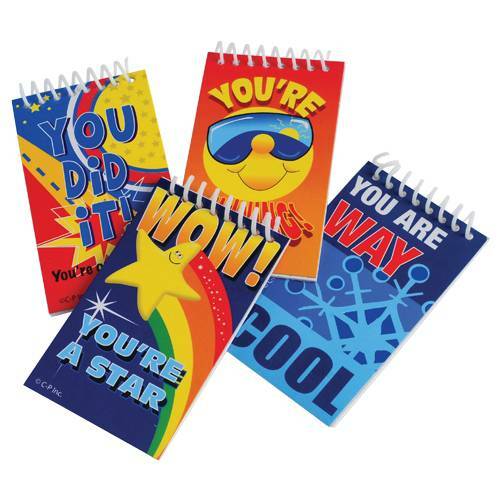 Size 2 ¼” W x 3 ½” T.
Write a note or draw a picture on this spiral bound, student notebook. This notebook is a great addition to your birthday goody bag. Great reward for students who do a job well done.